Back in my college days I studied and got a degree in Theatre. During that time I had the chance to talk about, see performed, write reports on plays by Arthur Miller. 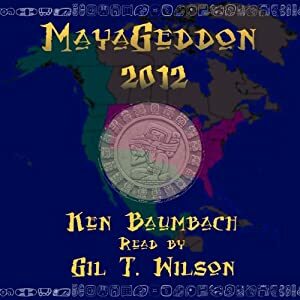 One of the things I noticed back then was the similarities between Miller’s writings and ancient Greek tragedies. Miller’s stories told of how our actions have reactions and most of the time he was quick to show that our bad actions had bad reactions. In some cases those bad actions were even full of good intentions, such as the father in “All My Sons” training his son in the basement for baseball, but once he got on the field was distracted by the sounds. This led to a son that when he reached adulthood knew nothing but pitching and even that was flawed, so his life was ruined. 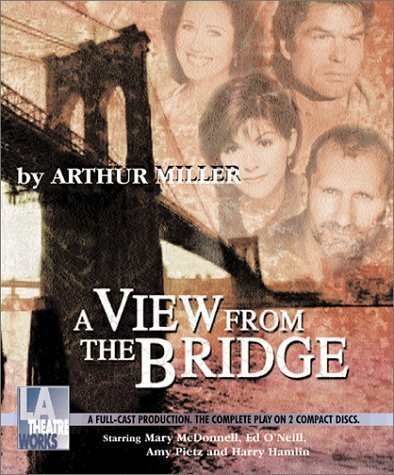 I’m still listening to the ten plays featured in “The Arthur Miller Collection” from L.A. Theatre Works and this time around just finished with “A View from the Bridge.” This is one play I was looking forward to hearing because during my studies I never had the chance to see this one performed. After finishing this production, I’m in awe, for several reasons. One reason is the main character Eddie Carbone is portrayed by Ed O’Neill. 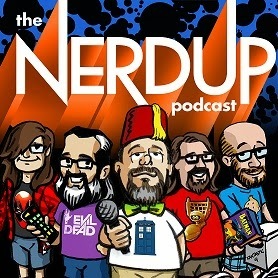 I know I think of Mr. O’Neill as Al Bundy from the “Married with Children” television series, and have a hard time shaking that image, but after hearing this performance, it’s going to be hard seeing him as Al Bundy. Ed O’Neill carries this play in this performance and thanks to the excellent production from L.A. Theatre Works, I felt as though I was smack dab in the middle of the audience. The play is set in 1950s Brooklyn, NY in an Italian neighborhood. Eddie Carbone is a longshoreman who lives with his wife, Beatrice, and his orphaned niece, Catherine. Eddie is very protective of Catherine, and at times maybe too protective. There are times that the subtext may imply that Eddie won’t let Catherine out in the world because maybe he wants her for himself. Filled with Freudian moments the relationship between Eddie and Catherine in this play could warrant an entire analysis. When Beatrice’s two cousins come into the country illegally they come to stay in Eddie’s home. The tension rises when one of the cousins and Catherine develop a friendship that leads to marriage. Eddie insists he only wants to marry her so he can become a legal citizen. When they begin talking about getting married soon Eddie calls the Immigration Department in to take the two men in and deport them. One of the cousins was in the country to earn money to send back to his wife and kids to provide for a better life and takes this as a personal attack from Eddie. One of the things that makes this play even more comparable to a Greek tragedy is that it employs both a chorus and a narrator in the form of Alfieri, the attorney who Eddie seeks out for advice. As a side here, this story is yet another play written to portray the McCarthyism that was sweeping the nation during the 50s. This audio performance is available in “The Arthur Miller Collection,” from L.A. Theatre Works. 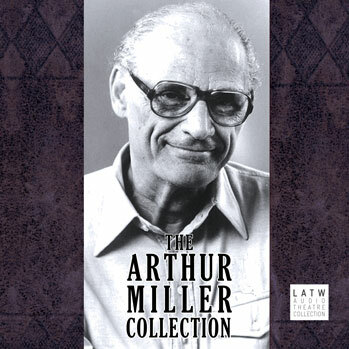 Arthur Miller Collection� produced by L.A. Theatre Works) | Gil T.